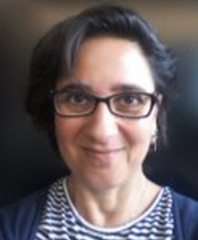 Marta is Canada Research Chair in"Bio-synthetic interfaces" since October 2011, and Associate Professor in Mining and Materials Engineering at McGill since May 2015. She started her career as an Assistant Professor in the department in September 2009. Currently, she is the Vice-President of the "Canadian Chapter of the Controlled Released Society". She is also board member of the Regroupement Quebecois "Center for Self-Assembled Chemical Structures", member of the "Center for Bone and Periodontal Research", the Controlled released society, the Minerals, Metals and Materials Society, the American Chemical Society, the Canadian Biomaterials Society, and several others. She is Associate Member of the Faculty of Dentistry and of the Department of Bioengineering at McGill. Marta received her Ph.D. in Chemistry at the University of Torino in 2004, where she studied bioactive glasses for bone regeneration. She spent one year of her Ph.D. at the University of Florida, where she worked in collaboration with NovaMin Technology, one of the companies making Bioglass. After her Ph.D. she worked as a post-doctoral fellow at North Carolina State University for 2 years, and then at UC Berkeley for another 2 years. During these 2 post-docs she studied DNA sensors, explosive detection, graphene surface modification, RNA-mediated nanoparticle synthesis, and antimicrobial surfaces. Her main interests are understanding and controlling surface phenomena, especially at the interface between synthetic materials and biological molecules. Currently she teaches MIME261 (Structure of Materials), MIME317 (Analytical and Characterization Techniques), MIME345 (Applications of Polymers), MIME515 (Material Surfaces: a Biomimetic Approach). She is strongly involved in outreach to undergraduate students and the society in general, as well as in the improvement of the safety culture at McGill University. Danae comes from Hermosillo, a city in the northwest region of Mexico. In 2010 she received a B. Sc. degree in Chemical Engineering (major in Metallurgics) from Sonora University. Her undergraduate thesis involved the synthesis and evaluation of the bioactive properties of composites made of hydroxyapatite, wollastonite and chitosan, as scaffolds for bone regeneration. After finishing her undergraduate studies, she moved to Ensenada, Mexico, to start her Master in Materials Science and Engineering at the Nanotechnology and Nanomaterials Research Center (CNyN) from the National Autonomous University of Mexico (UNAM). During her master, she worked on the functionalization of carbon nanotubes with cyclodextrins for pharmaceutical applications, and obtained her M. Sc. degree in 2013. To continue her studies in the biomaterials field, Danae joined Prof. Cerruti’s group in Winter 2014 as a PhD candidate. Her current project is focused on finding an alternative pathway to treat malaria from a biomaterial’s approach by inhibiting or reversing malaria pigment biomineralization. Ophélie comes from Montpellier, a city in the South of France. In 2012, she received a B. Sc. degree in Chemistry from the University of Lyon in France. Then, she graduated in Drug Sciences, specialization "Analytical Development and Biopharmaceutics", at the University of Lyon in 2014. During this time, she did an internship at the Faculty of Pharmacy at the University of Montreal. Her thesis project title was "The embedding of chitosan-based nanogels in macrogels for the controlled release of active substances for the local treatment of defective cartilage". In January 2015, Ophélie joined Prof. Cerruti’s group as a PhD student. Her research is focused on the understanding of the effect of elastin on blood vessel mineralization and the interactions between elastin and a biomineralization inhibitor, the matrix-gla-protein (MGP). Emily grew up in the suburbs of Philadelphia, PA, and she attended Drexel University where she completed her BS and MS degrees through an accelerated degree program. At Drexel, Emily studied Materials Science and Engineering and completed minors in French and Chemistry. For her master’s thesis, she studied crosslinking of electrospun poly(allylamine) fibers with two different crosslinking agents to improve the stability of the fibers in aqueous environments for use as a water filtration membrane. She also investigated the modification of chitosan electrospun fibers with thiol groups for water filtration applications during her master’s studies. After completing her master’s, Emily participated in the Whitaker International Program in order to work with Dr. Hubbell’s research lab in Switzerland at Ecole Polytechnique Federale de Lausanne (EPFL) for one year. As a Whitaker Fellow, Emily worked with a PhD student to engineer the growth factor, CXCL-12, for improved heart tissue regeneration after an ischemia. Through the Whitaker Program, Emily was able to gain experience in the field of biomaterials before beginning her PhD at McGill with Dr. Cerruti. In her free time, Emily enjoys cooking, skiing, biking, and traveling to learn about new cultures. Dhana is from Chennai, India. 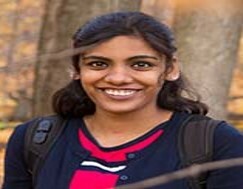 She received her B.Tech degree in Nanotechnology from SRM University, Chennai in the year 2013 where she worked on Lipid Nanoparticles for Drug Delivery and she received her Masters degree in Nanomedicine from Amrita Centre for Nanosciences, Kochi in 2015 where she worked on developing Silver nanoparticle impregnated catheters for preventing infection in Hydrocephalus shunt systems with Dr. Manzoor Koyakutty. After that, she moved to Canada and joined Dr. Cerruti's lab in Winter 2017 to pursue her PhD. Yiwen comes from Liaoning Province, northeast of China. She received her B.Eng. (2014) and M.Eng. (2017) degrees in Materials Science and Engineering from the University of Science and Technology Beijing. During her study in USTB, she focused on the research of carbon dioxide responsive materials, including highly sensitive microgels and emulsions. 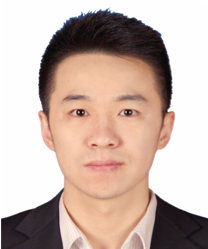 After that, Yiwen joined Professor Cerruti’s group as a PhD student to explore the bio-application of graphene. In her spare time, she enjoys swimming, singing, writing Chinese calligraphy, and watching movies. Bo was born and grew up in China. He received his B.Eng. (2015) in Aircraft Manufacturing Engineering and M.Eng. (2018) in MEMS Engineering from Northwestern Polytechnical University. As a Master student, he spent a half year working in the field of MEMS sensors. During that, he was interested in wetting phenomenon in the experiment and then focused on the research of reversible thermo-responsive material and its application. Bo is now working in Cerruti’s group as a PhD student to study the graphene oxide for the acoustic application. In his free time, he likes playing piano, running marathon and hiking. Tao was born and grew up in China. He received his B.Eng. (2017) in Tongji University. As an undergraduate student, he spent two years concentrating on self-assembly nanoparticles with antibacterial activities and antibacterial composite hydrogel. After graduation, he started his business with other cofounders in Beijing, providing programming and unmanned aerial vehicle classes and training for teenagers. In January 2019, Tao joined in Professor Cerruti’s group as a PhD student to study inhibitors of vascular calcification and its drug delivery system. In the weekend, he likes playing basketball. Yara grew up in Amman, Jordan where she received a Bachelor of Dental Surgery from the University of Jordan. She worked there as a general dentist for two years then joined the University of Manchester, UK as an MSc student in Fixed and Removable Prosthodontics. 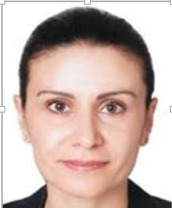 After obtaining her degree, Yara returned to Jordan to work as a full-time lecturer at The Faculty of Dentistry, University of Jordan for nine years. In 2015 Yara joined Professor Tamimi’s and Professor Cerruti’s groups as a PhD student. Her research focuses on controlling the surface chemical properties of dental materials and teeth to enhance their performance. This includes surface chemical modification of alloys used in dental prosthesis to enhance their adhesion to composite resin, controlling the surface hardness and the optical properties of teeth and dental restorations to enhance appearance and durability. Aside from her research, Yara is involved in the teaching and supervision of undergraduate students in the preclinical sessions of restorative dentistry at the Faculty of Dentistry, McGill University. 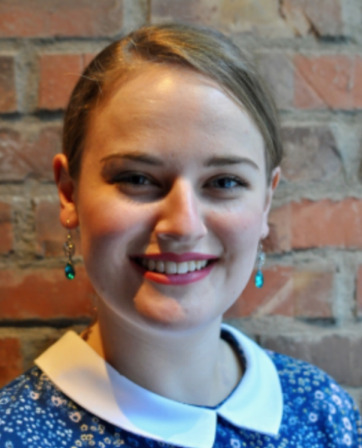 She is also active in many committees including the McGill Dentistry Graduate Student’s Society, and the Committee responsible to prepare for McGill bicentennial celebration. Capucine was born in Paris, France, where she studied Mathematics, Physics and Chemistry. She moved to Lyon at 18 years old to study Engineering Sciences, where she graduated from a B.Sc. in Physical and Chemical Engineering at “Ecole Centrale de Lyon”, and a M.Sc. in Biomedical Engineering and Biomaterials in University of Lyon. She arrived in Montréal in spring 2016 to work as a trainee in Pr. Sophie Lerouge’s lab (Laboratory of Endovascular Biomaterials, École de Technologie Supérieure), where she studied the effect of hydrogenocarbonate concentration on chitosan hydrogels for drug delivery and cell therapy, as a requirement to complete her Master’s degree. She is now a PhD candidate in Pr. Lerouge’s team, cosupervised by Pr. Cerutti’s, on the modification of chitosan by catechol groups in order to enhance mucoadhesion properties of the hydrogels. Besides chemistry, she also likes reading, drinking coffee, making and eating pastry, and listening to rap music. Sophia was born in Canada but spent most of her childhood in Australia before returning to Canada permanently in 2009. She completed her undergraduate degree in Materials Engineering CO-OP at McGill University in 2017. During her undergraduate degree she spent 8 months working in the field of biomaterials, specifically on the creation and characterization of various sol-gel derived bioactive glass compositions. She also spent 4 months working in Grenoble, France in the field of energy materials, developing new catalytic systems for the electroreduction of CO2. Sophia is now undertaking a Masters with the Biointerface lab. Her work focuses on using in-situ FTIR to understand the surface structure of natural and synthetic enamel with titanium ion inclusions. Kirklann was born and raised in California. He completed his undergraduate degree in general engineering at Harvey Mudd College in 2016. While there, he worked on designing hardware for TEMs, researching perovskite supercapacitors, and developing graphene composites. Upon graduating, he lived in Boston for two years working on resin development at a 3D printing company, and then on targeted drug delivery at a gut microbiome company. He then joined Dr. Cerruti’s lab in 2018 as a Masters/PhD student focused on blood vessel mineralization research. Beyond scientific pursuits, he enjoys playing and producing music as well as birdwatching. Ahmed was born in Egypt. He graduated from Zewail University of science and Technology in 2018. He has a B. Sc. degree in nano science with concentration of nano medicine. His undergraduate thesis focused on nano formulation of cinnamaldehyde as antioxidant. 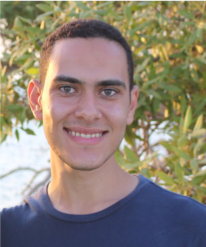 Ahmed joined professor Cerruti’s group at bio-interface lab on October 2018 as a MSc. student. His current project is focused on biomimetic synthesis and biomineralization of malaria pigment. 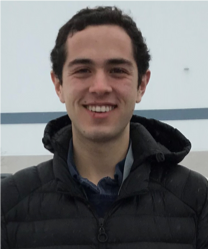 Federico is a third-year undergraduate student in the Materials Engineering program at McGill University. He is currently working under the guidance of Dhanalakshmi Jeyachandran on a research project regarding the effects of the microporosity of composite scaffolds on the degradation of Bioglass particles. Caroline comes from France, where she completed a B. Sc degree in cellular and molecular biology and physiology at the Catholic University of the Vendée (ICES, France). Inspired by the desire to learn more than biology she took a series of courses on "Interdisciplinary Approaches in Life Sciences" and obtained her a M.Sc. Degree in Biomaterials Engineering at the Paris Institute of Technology (ParisTech) in 2011. After her master, she moved to Canada to do a Ph.D. in biomaterials and tissue engineering at Laval University (Québec City). During this time, she developed a 3D multi-layer tri-culture model for vascular tissue regeneration using collagen gel as scaffold. 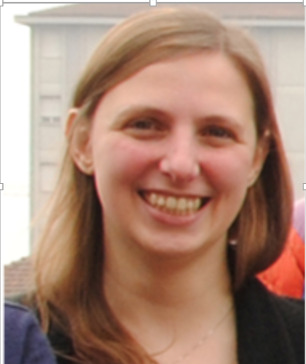 To continue her studies in the field, Caroline joined Prof. Cerruti’s group in Fall 2017 as a postdoctoral fellow in collaboration with Prof. Mantovani at Laval University, aiming to further optimize her vascular tissue model with the addition of elastic fibers and provide a valid in vitro model for further studies of vascular patho-physiology. In her free time, she plays the cello, brews beers and walks with her dogs. Gabriele was born and grew up in Torino, Italy. He attended the University of Torino where he received his BS and his MSc degree in Environmental Chemistry, in 2015. His undergraduate project concerned the study, mainly under the photo-electrochemical point of view, of Carbon Nitride, a recently discovered photoactive organic material. 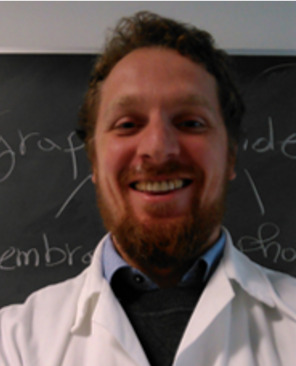 His PhD project at the University of Torino, under the supervision of Prof. Minero, is currently focused on (photo) electtrochemical and environmental applications of inorganic and organic hybrid materials. In particular he worked on Carbon Nitride and its stucture modifications, induced by doping. He is mainly interested in the field of photo-electrochemistry and photo-catalysis, especially on the processes occurring on the nanometric scale, and all their possible applications in our everyday life, from the environment to the human body. He's spent a period of his PhD at McGill, in the Prof. Cerruti's group in summer 2017, in the context of an European H2020 project named "Mat4Treat: New materials for water treatment". The aim of his research is the production of conducting nanofibers, by electrospinning, functionalized with oxides nanoparticles in order to be chemically photo-active under the visible light. One main possible application concerns the abatement, under solar light, of emerging persistant pollutants in water. Jiaxin Zhang was born in Beijing, China. She is currently a fourth year Materials Engineering undergraduate student at McGill University. She started working in the lab from May, 2018 as a summer co-op student under the guidance of Kaiwen. Her project is the fabrication of graphene hydro gel. Hao was born and grew up in Nanjing, China. She is an undergraduate student studying Materials Engineering at McGill University. She worked through the Winter 2018 for a research project course and followed by a SURE project during Summer 2018. Under Emily’s guidance, she studied the bone integration of polyetheretherketone(PEEK) via surface modification. Richard graduated from McGill University with a Bachelor’s of Materials Engineering in May 2016. During his time in the Material’s undergraduate program he spent 8 months of his COOP program working for the Biointerface Lab. During this time, he worked on three projects that were supervised by Kaiwen. The first involved using in situ FTIR spectroscopy to evaluate and track intercalated species content in multilayer graphene oxide membranes and was performed in collaboration with Professor Giuliana Magnacca at the University of Turin. This project resulted in a publication in the Journal of Physical Chemistry C. The second looked at the photocatalytic and absorptive properties of reduced graphene oxide hydrogels in combating organic pollutants and was performed in collaboration with Professor Paola Calza at the University of Turin. The final project involved using intercalated species to create graphene oxide-biomaterial hybrids. 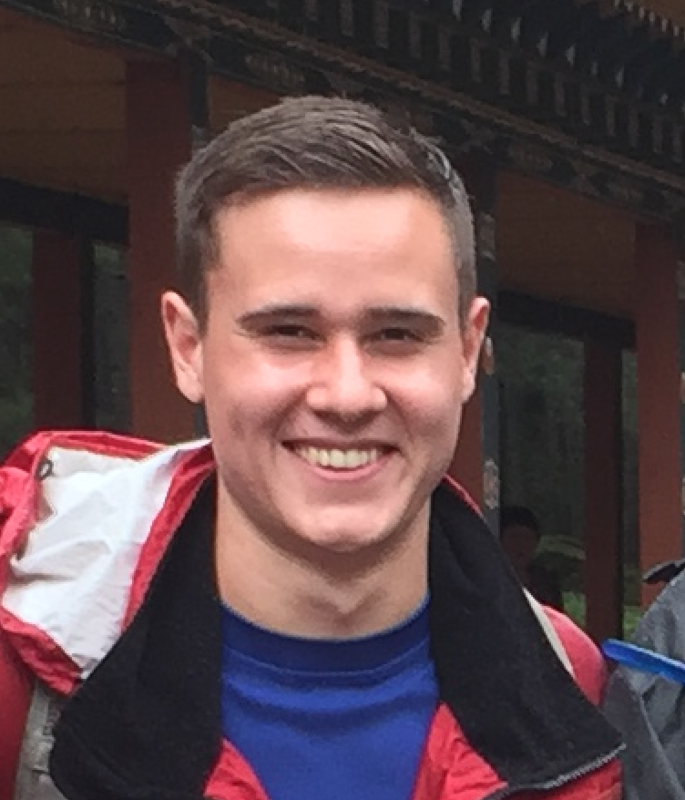 Richard started his Master’s Thesis in September 2016 where he will continue to evaluate intercalated species in graphene oxide membranes focusing on how membrane structure and chemistry effect molecular intercalation, this knowledge should prove very useful in developing graphene oxide molecular sieves. As a side project, he will also continue his work on developing graphene oxide-biomineral hybrids. Kaiwen was born in Wuhan, China. He moved to the city of Shenzhen when he was three. At the age of 18, he decided to move to Canada for his undergraduate studies. He graduated in Materials Science and Engineering at the University of Toronto in 2012. During this time he worked and did his thesis project "Fabrication of Advanced All Solid Electrochemical Capacitor" in the Flexible Energy and Electronics Lab at U of T. In September 2012 he joined Prof. Marta Cerruti's group as a PhD student working on graphene composites for anodes in Li-ion Battery. He is co-supervised by Prof. Szkopek (Electrical Engineering, McGill University). Gul Zeb was born in Pakistan. He completed his MSc degree in Functionalized Advanced Materials & Engineering from Universität Augsbrug (Germany) and Université catholique de Louvain (Belgium) in 2010. During his master thesis in the group of Prof. Thomas Pardoen, he worked on the mechanical characterization of ultrathin films using microfabrication based techniques. Gul joined Prof. Marta Cerruti’s cluster in January 2011 as a PhD student and his research involves surface modification of carbon based materials for their application in Li-ion batteries. He is co-supervised by Prof. Szkopek (Electrical Engineering, McGill University). Gul is married and fathers a child. I was born and grew up in Casablanca, Morocco. I completed a MSc degree in physical chemistry at Université du Québec à Montréal. During my master thesis in the groups of Mario Morin and Janine Mauzeroll, I worked on ‘Imaging electrocatalytic activity with scanning electrochemical microscopy’. I got my Ph.D in chemistry from McGill University in 2015. My Thesis title was ‘Directing the assembly of nanostructures on surfaces with molecular monolayers’. In 2016, I joined Prof. Cerruti’s group and Tamimi’s groups in collaboration with 3DRPD to work on the optimization of diazonium adhesives for dental application. Chiara comes from Torino, Italy. She received her degree in Materials Science (Bachelor degree in 2008 and Master of Science in 2010) at Università di Torino. In January 2014 she obtained the Ph. D. in Chemical and Materials Sciences at Università di Torino, with a project in the fields of solid state chemistry and catalysis entitled “Inorganic Materials Based on Oxides Containing Photoactive Centers Responding to Light: New Preparative Approaches, Characterization and Applications”, supervisor Prof. Maria Cristina Paganini. She has been a visiting student (twice during her PhD Period, once during her PostDoc) to the Institut des Nanosciences de Paris (INSP) under the supervision of Dr. Slavica Stankic, to perform photoluminescence measurements on mixed oxides within the COST action CM1104 "Reducible oxides". She visited Prof. Cerruti’s group in Summer 2017, within the European Project "Mat4Treat", in order to synthesize and study hybrid metal oxide/reduced graphene oxide composite hydrogels for photocatalytic applications. 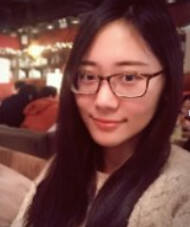 The main topics object of her scientific research activity are the synthesis and characterization of oxide based materials using a wide set of techniques, including Electron Paramagnetic Resonance (EPR), with a particular focus on novel photoactive materials obtained by doping with Rare Earth (RE) ions oxides such as zirconium dioxide or zinc oxide. 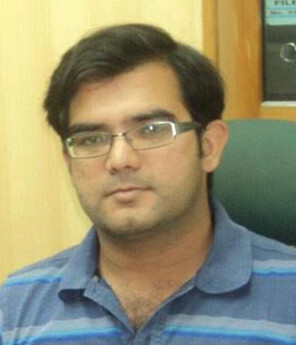 Farrukh comes from Lahore, Pakistan. He got his Bachelor degree in Textile Engineering with specialization in Textile chemistry from University of Engineering and technology Lahore. During his BS he worked on the bio-polishing of 100 % cotton fabrics. After BS he has been involved in the industrial job related to the product development in functional textiles such as flame retardant, antimicrobial and micro-encapsulation for controlled release of fragrance. In 2011 he joined Politecnico Di Torino, Torino Italy and completed MS in Textile Engineering in 2013. He carried out his MS thesis at textile composite laboratory in RWTH Aachen University Germany where he worked on the development of 3D reinforcing material (composed of glass, aramid and polyester fiber) for enhanced flexural properties of textile reinforced composite materials. In 2014 he started his PhD in Chemical Engineering at Politecnico Di Torino under the supervision of Prof. Marco Sangermano and got involved in the European project - MAT4TREAT. 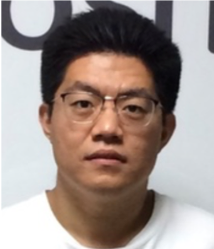 His research work is focused on the development of solvent stable membranes based on the acrylic functionalized polysulfone. In 2015 he has been an affiliate PhD researcher at Spanish national research laboratory - CSIC Madrid. In 2016 he has been visiting PhD researcher, under the project MAT4TREAT, at University of Stellenbosch South Africa where he designed a prototype for online UV curing of electrospun mats. He visited Prof. Cerruti’s group in summer 2017 within the same project “MAT4TREAT” in order to develop in – situ silica functionalized polysulfone mats via sol – gel electrospinning. Peng received his B.Sc. degree in Chemistry at Anhui Normal University in 2008, where he studied the synthesis and catalytic properties of Fe3O4@Au core/shell nanoparticles. Then he started his Master’s and Ph.D. study in the Institute of High Energy Physics (IHEP), Chinese Academy of Science (CAS) in Beijing. In 2013, he became an assistant professor in IHEP, CAS. In the last 5 years, he worked on the ecotoxicity and behavior of engineered nanoparticles in environment and published over 17 papers and 2 book chapters. He has expertise and great interest in applying advanced nuclear techniques (e.g., radioisotope tracer techniques and synchrotron radiation techniques) into the environmental and nanotoxicity studies. By combining these advanced techniques with traditional toxicological and nanoscience methods, he systematically investigated the transformation and toxic mechanisms of rare earth oxide nanomaterials in various organisms including plant, bacteria, cell and mice. In March 2015, he joined Prof. Cerruti’s group as a postdoc fellow, aiming to bring his experiences and ideas into the work on vascular calcification. I was born in the United States, but spent most of my childhood years living in Mexico, China, Singapore and finally Canada, for my undergraduate studies in Materials Engineering. My interests lie in the field of additive manufacturing (AM) and its applications across a wide range of sectors. Most recently, I spent the summer of 2016 at a 3D printing Startup developing products for biomedical industries. This experience in the field sparked my interest in 3D printed transplants, and specifically polymer surface modification for improved integration of these transplants. I approached Professor Ceurruti, and was fortunate to receive a research position in the Biointerface Lab. I worked under the mentorship of Emily Buck on her PhD research, developing an understanding of biomaterials that I hope to implement in future work opportunities, combining my interest in AM and healthcare. Suliman was born in Libya. He holds a bachelor degree in dental technology from Al-Mergb University. He worked as a teaching assistant at Alfateh University and he specialized in prosthodontics and dental materials over 3 years (2007-2010). Then he worked as a technician in private laboratories and he specialized in crowns and bridges and other methods to replace missing teeth, and as a volunteer at Al-Tawifiq clinic for a year. In 2013, he joined Prof. Faleh Tamimi and Prof. Marta Cerruti’s groups as a Master's Student. His research interests are surface modification of dental alloy and working to obtain a strong bond strength between metal alloys and polymers in dentistry applications by using a diazonium chemistry and to prove the biocompatibility of this method. Audrey comes from Quebec City, Canada. In 2014, she received a B.Sc. degree in Mechanical Engineering from Laval University. Then she started a Master at the Laboratory for Biomaterials and Bioengineering under the supervision of Prof. Diego Mantovani. Audrey is also co-supervised by Prof. Marta Cerruti (McGill University) and Prof. J. Michael Lee (Dalhousie University). Her research is focused on the investigation of structure-property relationships in the mechanics of soft tissues and particularly, in collaboration with Prof. Cerruti, on the effects of mineralization on their mechanical properties. She is currently working as a Jr. Engineer at OMP inc., Quebec. Peter graduated in Physics at the University of Oregon in 2004 and received his Master's in Electrical Engineering at McGill in 2009. He began his PhD in Electrical Engineering under the supervision of Prof. Szkopek and joined also Cerruti's group in June 2012. He is working on graphene composites for Li-ion battery applications. Peter finished his PhD study in Nov. 2016. He is now an R&D scientist at University of Michigan. 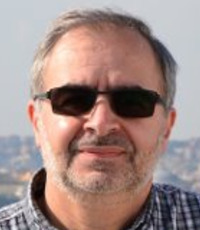 Mohamed-nur was born in Paphos, Cyprus. He grew up in Jordan where he received his BDS degree in the Faculty of Dentistry from the University of Jordan in 2008. He worked for 3 years as a general dentist in Cyprus and Jordan before joining Prof. Tamimi’s group and Prof. Cerruti's group as a Master's student in 2011. He graduated from his Master's in June 2013 and started his PhD under the same professors in the Fall 2013.His current research interests are: characterize the surfaces of implants and mineralized tissues, modify Titanium surfaces and evaluate their integration with epithelial tissues and their bonding with synthetic resins. Aside for his research, Mohamed-nur works as a teacher assistant at the Faculty of Dentistry and is an active member of the Dentistry Graduate student council. Mohanmed-Nur finished his PhD in Dec. 2016 and is now a postdoctoral scholar at Prof. Tamimi's group. I was born and grown up in central Punjab, Pakistan. I got my Bachelors in Metallurgical and Materials Engineering from the University of Engineering and Technology Lahore, Pakistan in August 2008. During my bachelors degree I worked on "The effect of post weld heat treatment on the mechanical and micro-structural properties of weldment between two dissimilar steels AISI 1045 and DIN 20MnCr5." I worked as QA/QC Engineer at Descon Engineering Limited and Ittefaq Sons Pvt. Limited for around one and half year, to acquire some corporate professional experience. I moved to South Korea in March 2010, to pursue my Master's in BioNano Engineering; an interdisciplinary program at Hanyang University, under the sponsorship of the Higher Education Commission of Pakistan. During my Master's at the Functional BioNano Materials Lab under the supervision of Prof. Dong Woo Lim I developed hierarchical nano-structures of organic-inorganic hybrid materials for Surface Enhanced Raman Scattering (SERS) based cancer bioimaging and smart drug delivery. We developed various nano-composite probes composed of clustered silver and gold nanoparticles embedded inside biocompatible polymeric particles and fibers via electrohydrodynamic (EHD) jetting for highly sensitive SERS based multiplexed cancer bioimaging and chemical trace analysis. We produced polymeric nanoarchitectures with distinct nanoscale compartments for multimodal drug carrying reservoirs. I joined Prof. Marta's lab in Sep 2012 as a PhD candidate. I finished my PhD and postdoctoral work at the work in May, 2016 and I joined Alentic microscience Inc. as a materials scientist. Sahar was born and grew up in Tehran, Iran. After getting her bachelor’s in polymer engineering from Tehran Polytechnic and her master’s in chemical engineering from University of Tehran, she moved to Canada to pursue her doctoral studies. During her Ph.D. program at École Polytechnique de Montréal, she investigated the role of polymer chain architecture in melt rheology, crystallization and processability of poly(lactic acid). Sahar joined Prof. Cerruti’s group as a postdoc fellow working in collaboration with Prof. Tamimi (McGill, Dentistry) and 3DRPD. Her primary work was on metallic surface modification by graft polymerization with the aim of improving the bond between metallic and plastic parts. Sahar is not working as the Micro-Characterization Lab manager at Polytechnique de Montréal and also a research scientist at Safran Group chair on novel 3D composite materials for the aerospace industry. Jinke was born and grew up in the city of Harbin, northern China. In 2008, he received his B.Eng degree in Materials Science and Engineering, from Harbin Institute of Technology.In 2009, he decided to explore the world so he came to Canada. He received his M.Sc degree in Biosystems Engineering from the University of Manitoba within 2 years. In 2011, Jinke joined Prof. Cerruti's group as a PhD student, co-supervised by Prof. Barralet. He worked on catechol modified mucoadhesive chitosan hydrogels for drug delivery applications. In June 2015, Jinke completed his PhD studies, with the thesis title of "Mussel-Inspired Mucoadhesive Hydrogels for Drug Delivery". Since then, he became a postdoctoral fellow in Prof. Cerruti's lab, working on surface modification to enhance cell functionalities. He finished his term in December 2015. Jinke is now a consultant at QuintilesIMS. Hesam was born in Tehran, Iran. He received his bachelor degree in Materials Science and Engineering at the University of Tehran in 2007. His undergraduate project was on “Superplastic Indentation Creep of Fine-Grained Sn-1%Bi Alloy” at the Formability Lab. Meanwhile, he became very interested in materials biomedical applications. In August 2008, for enriching his knowledge in biomedical engineering, he started his master in the Materials Science and Engineering department (Orientation in Materials for Biotechnological and Medical Applications) at EPFL, Lausanne, Switzerland. During his master, he worked on several projects related to material bioapplications such as “Nanoparticles for Cancer Treatment Injectable Implants for Spine” at LTP. In 2010, after finishing his Master, Hesam joined Prof. Cerruti’s group as a research assistant and later on as a PhD student. He graduated in October 2015. He is currently working as a Prototyping & Scale-up Manager at Bioastra. Mandana was born and grew up in Tehran, Iran. In 2007, she received her B.Sc. degree in Material Science and Engineering from the University of Tehran. Her undergraduate project was focused on phase transformation control in Ni-Ti shape memory alloys for orthodontic applications. She started her Master's in Materials for Biotechnological and Medical Applications at EPFL, Lausanne, Switzerland. She finished her M.Sc. project in Biomedical Engineering at EPFL and worked on the characterization of protected fibrin gels for bladder scaffold for tissue engineering. In 2010, Mandana came to Canada and joined Prof. Pekguleryuz’s group as PhD student working on the development of Mg-based biodegradable alloys. In 2012 she became co-supervised by Prof. Cerruti and member of the Biointerface Lab. She graduated from her PhD in December 2014 and since then she became a postdoctoral fellow in Prof. Cerruti's laboratory, working on an industrial project in co-supervision with Prof. Tamimi and Patrick Lapointe from Walter Surface Technologies. Mandana left the group in November 2015 and she is currently working as a Scientist in Materials Science and Pharmaceutical development at Flexion Therapeutics. Omar was born in Riyadh, Saudi Arabia. He received his B.Sc. degree in Dental Technology from King Saud University (KSU), Saudi Arabia in 2008. He then did a year of internship at the dental laboratories, National Guards Hospital, during which he evaluated materials including ceramics, metals and polymers for dental applications. Omar worked at KSU as a teaching assistant for one year in the college of Applied Medical Sciences. In 2011, he joined Prof. Faleh Tamimi’s and Prof. Marta Cerruti’s groups as a Master's Student. He graduated from his Master's in the Winter 2014, and has now started his PhD. Omar's research is focused on surface modification of dental materials and bonding between metals and polymers for dental applications. Maria Laura was born in Torino (Italy) in 1989. She studied at Torino University and received her Master's Degree in October 2013 with a thesis concerning the synthesis and characterization of different photocatalysts for pollutants removal. In 2014, she started a PhD at Torino University (under the supervision of Prof. Alessandra Bianco Prevot) in collaboration with the Institute for the Study of Nanostructured Materials in Palermo (Italy). She focused on the production of perovskite-type oxides for energy and environmental applications. She joined Prof. Cerruti's group in summer 2015 within the European Project "Mat4Treat", in order to exploit the properties of waste-derived substances for water remediation. Marco was born in Aosta (Italy) in 1989. In October 2013, he received his MSc degree in Environmental Chemistry from Università degli studi di Torino. His undergraduate project was about environmental transformations of emerging contaminants in different matrices and characterization of transformation products with mass spectrometry. In January 2014 he began a Ph.D. under the supervision of Prof. Paola Calza to study composite materials for photocatalytic applications. Luigi was born in Italy. He received his MSc degree in Chemical Engineering from Politecnico di Torino (Italy) in 2014. In BSc he conducted research in palladium-based catalysts for syngas production via methane steam-reforming. In his MSc research project worked on mathematical modelling of freeze-drying process of micro-particles. In 2015 he was a research assistant of Prof. Pisano (Politecnico di Torino) and collaborated with Prof. Sangermano and Prof. Barresi. He mainly worked on molecular encapsulation of ethylene in cyclodextrins, production of filled polymeric materials for gas release control, polysulfone-based membranes for wastewater treatment and mathematical modelling of transport phenomena in freeze-drying process. Moreover, he visited Prof. Cerruti's group to study the polydopamine-coated membranes for dyes removal. Leila was an undergraduate student in Materials Engineering at McGill University. She started working on Isothermal Titration Calorimetry (ITC) from January 2014 under Jinke’s guidance. Her primary work was to study the adhesion between mucus and chitosan modified with catechols, such as DOPA and dopamine, by measuring the heat of interaction using ITC. She is currently a Master's student in the Department of Bioengineering at McGill University. Nika was an undergraduate student in Materials Engineering at McGill University. She started working on Isothermal Titration Calorimetry (ITC) experiments from June 2013 under Maryam's guidance. She worked through the Winter 2014 term as a COOP student, and was working with us part time during the Summer 2014. Her primary work was to study the interactions between ions and amino acids or hydroxyapatite both with ITC and IR spectroscopy. Michel Bocourt Povea was born in Cuba. He received a BSc in Chemistry from the University of Havana in 2005 and in January 2008 he received an MSc degree in chemistry (mention in physical chemistry) from the same university. In his master thesis, he worked on the synthesis and characterization of chitosan-based hydrogels for drug controlled release in the group of Prof. Carlos Peniches Covas. In 2012 Michel came to Canada and joined Prof. Diego Mantovani’s group to pursue a second Master. Since 2013 he is co-supervised by Prof. Cerruti. Currently he is working in a company. Sanahan is a first year undergraduate student in Materials Engineering at McGill and started working with us in September 2012. Under Jinke and Elena’s guidance, he is working on the characterization of genepin cross-linked chitosan hydrogels. 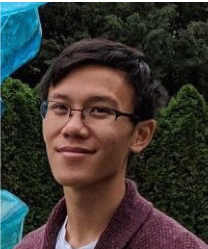 Alvin is a student in McGill with a major in Materials Engineering and a minor in Biomedical Engineering. He started working during the Summer of May 2012 with Sara. He and Sara investigated the transformation of bioglass during scaffold processing using different surface characterization techniques. He came back to do a research project at the biointerface lab to develop a method to distinguish between dirty and clean spots on metal surfaces. Fabrizio was born in Cuneo (Italy) in 1984. In October 2008, he received his MSc degree in Chemistry from Università degli studi di Torino, Italy. His undergraduate project concerned the study of the coprecipitate products originating from arsenic contaminated groundwater in Bangladesh. His interest for research in the renewable energies brought him to begin a PhD in 2009 under the supervision of Prof. Claudio Minero in the domain of photocatalysis. In January 2012 Fabrizio defended his PhD thesis "Semiconductor photonic crystals: synthesis, characterization and applications". He worked as a post-doc in Prof. Cerruti's group to study the coupling between graphene and titanium dioxide in the context of a European IRSES project involving Università degli Studi di Torino (Italy), Politecnico di Torino (Italy), CSIC of Madrid (Spain), Saint Petersburg State University (Russia) and McGill University. Brandon was born and grew up in Macao, China. He received his B.Eng. degree in Chemical Engineering from McGill University in 2012. 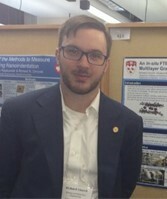 During his undergraduate study, he conducted research in the Autologous Chondrocyte Implantation (ACI) for treating cartilage defects in the soft tissue biophysics laboratory, and in the simulation of glutamate diffusion in carbon nanotubes for drug delivery in the computational neurophysiology laboratory. He was a research assistant in Prof. Cerruti's group from June 2013 to April 2014, working on bond between metals and plastics and metals and metals. He is currently employed at Corrosion Service. Anya is an undergraduate student studying Materials Engineering at Mcgill University. 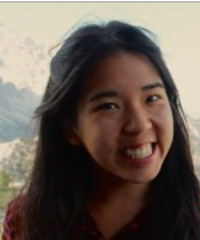 Through the 2013 SURE program, she worked with Jinke to optimize a bioadhesive, injectable hydrogel for intraperitoneal drug delivery applications. Kayne is an Honours Mechanical Engineering student at McGill. He started working in the lab in May 2013 as a SURE student under Hesam. His project was focused on the Surface Modification of PLGA/PDLLA Electrospun Fibers for Skin Regeneration. Over the course of his project, he had to prepare PLGA/PDLLA fibers and bind caffeic acid to the scaffold for subsequent drug release. Mario was born in Madrid. In 2006-07 he obtained a degree in Industrial Engineering at the Rey Juan Carlos University. In 2009 he graduated as a Material Engineer at the same university. During the last year of college he received an Erasmus grant to work in the Politecnico of Torino. In 2009 he joined the National Spanish Research Council (CSIC) with a JAE-Pre grant to complete his PhD developing nanocomposites based on epoxy resins and carbon nanostructures. During the summer of 2013 he visited the Biointerface group at McGill University to decorate graphene surface with gold nanoparticles. Isabel was born in La Ceja, Colombia. She studied Chemical Engineering at the University of Antioquia in Medellin (Colombia) and graduated with a Master degree in Chemical Sustainable Process Engineering at the Polytechnic of Turin in Italy in Winter 2014. She worked in Marta's group from November 2012 to May 2013 within a project sponsored by the European Community on photovoltaics and graphene. Elena was born in Biella (Italy) in 1984. In July 2008, she received her degree as Doctor in Dental Medicine at the University of Milan, Italy. She worked as a post-doctoral fellow in Prof Cerruti's group from May 2012 to May 2013. Her project focused on developing a bilayered chitosan-based scaffold for the regeneration of periodontal tissue, which is the apparatus supporting the teeth into the dental alveoli. Now she is working as a dental clinician and researcher at the Politecnico of Milano and University of Novara, Italy. 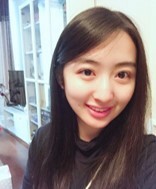 Guanhan graduated in Biochemistry at McGill in 2013. She worked with us from June 2011 till when she graduated. Under Maryam's guidance, she studied the effect of amino acids on hydroxyapatite nucleation and growth. She co-authored the first of Maryam's papers. Roger is a fourth year undergraduate student in McGill Materials Engineering. He started working on Hydroxyapatite nucleation project from September 2012 under guidance from Maryam. His primary work is to bind amino acids on a polymer film (PDLLA) by activating the surface of the film. Robert is a Biochemistry student at Carleton University, located in Ottawa. He worked with us in the summer 2012 under the SURE program. His project was to optimize electrospinning of PDLLA to make nanofibers; Hesam helped him on this. Jethro is a Chemistry student at McGill. He worked with us in the summer 2012 after winning a CSACS summer internship fellowship, co-supervised by Prof. Wilkinson from the University of Montreal. His project was related to understanding the mechanism of hydroxyapatite nucleation. He worked with Maryam on this. Sara has been a Master's student in our group from September 2010 to June 2012. She studied bioactive glasses and how they transform during their processing inside scaffolds. 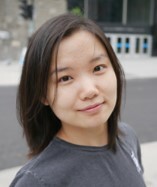 Currently she is a PhD student in the Department of Bioengineering at the University of Toronto. Ghareb worked as a post-doc with us from September 2011 to July 2012. He was co-supervised by Prof. Jake Barralet (Dentistry), and his research focused on chitosan-hydrocaffeic acid nanoparticles for oral drug delivery. He helped supervise Jinke during his stay with us. He left the group to become Assistant Professor in the Department of Pharmacy at Assiut University, Egypt. Tuân worked as a post-doc with us from January to July 2011. His research focused on surface functionalization for applications in oral drug delivery and lithium batteries. Additionally, he has helped Maryam, Hesam and Zhong to modify various substrates with diazonium chemistry. He left the group to join Teledyne Dalsa, a semiconductor company based in Bromont, as "Professionnel d’ingénierie en technologies". Zhong is a second year Materials Engineering student. He started working with us in May 2011, funded by an NSERC USRA fellowship. He is trying to improve the bond between titanium and poly(methylmethacrilate) for dental implant applications. Mo is an undergraduate student in Anatomy and Cell Biology at McGill and has worked with us on several projects, from hydroxyapatite nucleation to bonding Ti to PMMA for dental prosthetics. She has been with us from June 2010 to June 2012. Daniel is a student in Materials Engineering at McGill, and he worked with us from August to December 2011. He investigated the precipitation of hydroxyapatite on composite PDLLA scaffolds. Joyce is a second year student in Biochemistry at Concordia University, and worked with us in July-August 2011. She used a colorimetric method to determine the concentration of amino acids adsorbed on the hydroxyapatite particles synthesized by Maryam and Guanhan. Harris is a second year student in Materials Engineering at McGill, and worked with us in June-August 2011. He used Raman spectroscopy to characterize tooth and calcified aorta samples provided by Drs. Monzur Murshed and Faleh Tamimi. 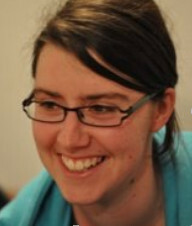 Jessie has worked with us from May to July 2011. Working with Maryam and Hesam, she improved our scaffold making technique, and has studied the precipitation of hydroxyapatite on PDLLA scaffolds and different ceramic particles. She is currently a third year student in Chemical Engineering at McGill. I am Giuliana Magnacca and I was born in Pescara (Italy) on November 10th 1966. I moved to Torino for my graduation studies and there I took my PhD in 1997 working with Prof. Claudio Morterra studying structure, morphology and surface of oxidic materials. In 1999, I became Researcher at Chemistry Department of Torino University and in 2016 Assistant Professor of Physical Chemistry at the same University. I visited Marta’s laboratories in summer 2017 within the European project Mat4Treat (H2020-MSCA-RISE) devoted to the assessment of materials and processes for pollutants removal from water. I am interested in developing low cost materials starting from cheap and green compounds. My expertise in material characterization techniques ranges from spectroscopies (UV-Vis, FTIR, EDS), microscopies (SEM, (HR)TEM), X-ray diffraction, but my favoured methods concern adsorption-based phenomena and comprehend gas-volumetric analyses of gases adsorbed on solid surfaces for the determination of specific surface area, porosity and the behaviors of the solid surfaces, microgravimetry to determine the extent of the interaction gas-solid, and adsorption microcalorimetry to quantify the energetic interaction of gases and vapours interacting with solids. I am involved in many activities with kids and common people for developing their interest towards chemistry and science in general. Vittorio Boffa was born in 1978 in Chieri (Italy). He has got two PhD titles: one at Twente University (The Netherlands) by defending the thesis “Niobia-silica and silica membranes for gas separation” in 2008, and a second at Turin University (Italy) by defending the thesis “Waste-derived materials: isolation, characterization and applications“ in 2010. Since 2014 he is Associate Professor at the Section of Chemistry of Aalborg University (Denmark). Over the past years, his research activity has covered a broad scientific area encompassing membrane development and application, biorefinery concepts, and development of photocatalytic materials for environmental applications. Vittorio is married, has two children and owns no car. He is founder and owner of NOUCHI IVS, a company focusing on the development and commercialization of technologies and products for and from developing African countries. 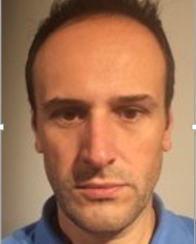 Vasilis is Assistant Professor of Analytical Chemistry in the Department of Chemistry of University of Ioannina. He received his PhD in Chemistry at the same University in 2002, studying the development of analytical methods for the determination of antifouling booster biocides and their fate in the environment. He started his academic career as Adjunct Professor in the Department of Materials Science and Engineering 2003-2007 and his research interests are devoted to the topics of Analytical Chemistry (development of analytical methods for the determination of trace concentrations of organic contaminants in environmental matrices, food samples and biological samples), Chemometrics (statistical treatment of data and optimization), Environmental Chemistry (study of the environmental fate of organic contaminants and toxicity assessment), Environmental Technology and Advanced Water Treatment (application of Advanced Oxidation Processes for the mineralization of organic contaminants).Vasilis visited Marta’s laboratories in summer 2017 within the European project Mat4Treat (H2020-MSCA-RISE) devoted to the assessment of materials and processes for pollutants removal from water. Enzo Laurenti was born in Torino (Italy), where he obtained a M.Sc. degree in Biological Sciences and the Ph.D. in Chemistry. Since 2004 he is Researcher at the Department of Chemistry at University of Torino and Adjunct Professor of General and Inorganic Chemistry. His scientific interests include: characterization of metal binding sites in proteins and mimicking complexes; studies on the enzymatic and photocatalytic degradation of dyes, polyhalogenated phenols and other emerging pollutants; synthesis and characterization of new metal-enzymes containing materials to be employed in the degradation of water pollutants. He visited prof. Cerruti’s group within the European project Mat4treat (H2020-MSCA-RISE) devoted to the assessment of materials and processes for pollutants removal from water in summer 2017. Casey Jones began studying Chemistry at Reed College in Portland, Oregon, graduating in 2005. She then went on to receive her PhD in Chemistry from Princeton University in New Jersey in 2010 and began a NIH-funded post-doctoral position in Biomedical Engineering at Oregon Health and Science University, also in Portland. Her interests and areas of research focus during her training included organic synthesis, surface modification of metals and polymers, and cardiovascular device development. Utilizing these skills, Casey began her independent research career at Lewis & Clark College in Portland, Oregon in 2013 in the Chemistry Department. Her research focuses on the design of a stainless steel cardiovascular stent to release polyphenols found in red wine for the treatment of coronary heart disease. During her research sabbatical at McGill in the Fall of 2016, Casey joined the Cerruti lab and worked to develop robust methods for attachment of her molecules of interest to stainless steel using chemical and electrochemical grafting techniques. Xingyi is a professor at Sichuan University since 2010. His main research interests are construction of novel biointerfaces for in vivo endothelialization of vascular grafts and biomineralization of bone grafts. He has taken responsibility for three projects in those fields sponsored by the National Science Foundation of China and taken part in one project in vascular grafts from the Ministry of Science and Technology of China. Now he has published over 25 papers in his research fields. Xingyi is very active in academic communication. In May of 2008, he was supported by China Scholarship Council to have a one-year visit to Laval University, Canada, where he synthesized polyurethanes with functional polyethylene glycol surface layer that has induced in situ endothelialization in two days as novel lumen for vascular grafts. He visited Prof. Cerruti’s group in 2014, and during this year he worked on graphene-based materials for bone biomineralization. 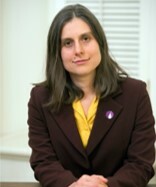 Maria Cristina Paganini is Assistant Professor at the University of Torino in Chemistry. She is interested in synthesis and characterization of inorganic materials. In particular she focused her attention in the study of the surface chemistry of inorganic solids and materials. In this context she mainly uses the Electron Paramagnetic Resonance technique (EPR) to the description of the surface of solids. She is co-author of almost 70 papers on international journals. She visited Prof. Cerruti's laboratory in 2014 in the context of a European project on photocatalysis. Marco is Assistant Professor in Politecnico di Torino, Materials Science Department. Marco's main activities are in the field of photopolymerization, polymer structure-property relation, tailoring formulations to achieve specific properties, surface modifications by fluorinated or silicone additives, and preparation of nanostructured polymeric coatings. He is co-author of 150 papers and 8 patents. He has visited Prof. Cerruti's lab at McGill in 2013 and 2014 for one month, funded by a European FP7 project, to study polymer/graphene materials for photocatalysis and energy applications. Antonella is Assistant Professor in the Life Sciences Department at the University of Trieste. She has developed Human Elastin-Like Polypeptides (HELPs)as recombinant versions of elastin with the purpose of enhancing the native protein's ability to self-assemble. Currently her work is focussed on exploring the potential of these biopolymers for biotechnological and biomedical purposes. She visited Prof. Cerruti's group in the summer 2012, sponsored by CSACS scientist-in-residence program, with the goal of exploring the potential of HELPs as substrates to study the molecular mechanism of biomineralization of soft tissues.